They Made Me Do It….! …but I was very happy to conform! 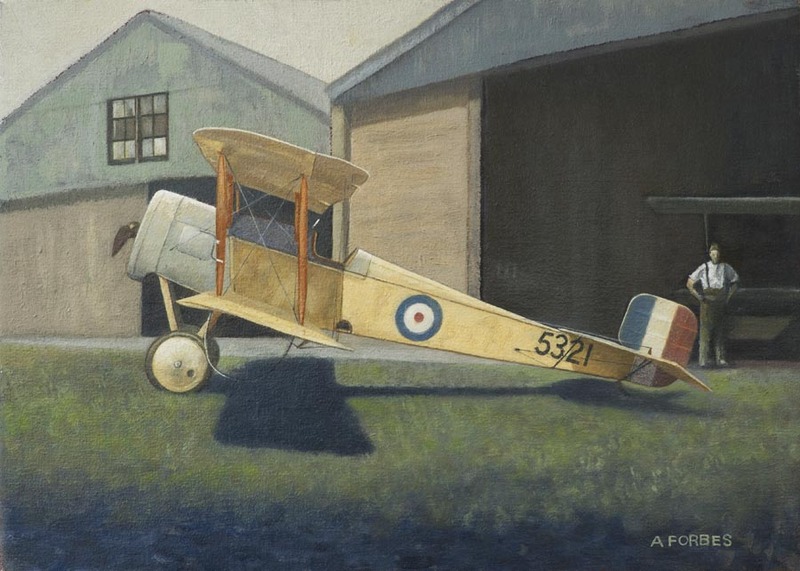 When a revered Edinburgh College asked me to produce a painting relevant to their own Great War remembrances, we decided on the Bristol F2b. The Bristol Fighter incidentally was always known to its crews as the “Biff” and not by the subsequent and baleful, press-led soubriquet of “Bristfit”. Amongst the college’s former pupils were the three brothers Barnwell. Of those, one went to the Army but the other two, Harold and Frank were aeronautically inclined. Harold became a test-pilot for Vickers and would die in a crash in 1918. Frank however became a designer at Bristol and would be partly responsible for the Scout shown below. This was a real pilots’ aeroplane and well-beloved by all. After the Scout, Frank designed the M1 monoplane, an extremely efficient fighter but destined to be un-acceptable to the biased anti-monoplane thinking of the top brass. Frank’s next design – the Bristol Fighter – was probably the finest all-rounder produced by any of the warring nations and destined to fly on almost all fronts, surviving in the RAF until 1930. Looking to be a wee bit different I’ve pictured this one over the deserts of Palestine. 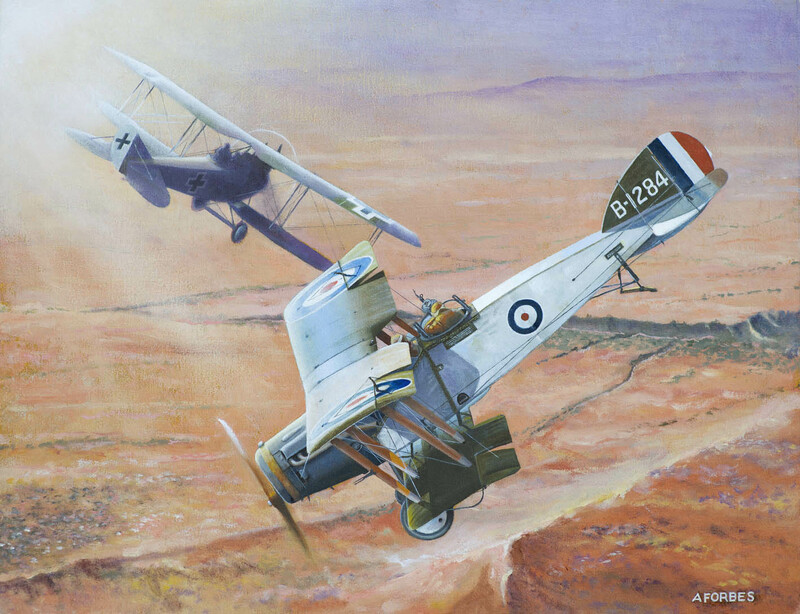 A No.1 Squadron Australian Flying Corps “Biff” about to engage a Rumpler CIV in 1918. Halberstadt DII – Finished – Gone! Allan Forbes on a PHOTOGRAPH? Film, theatre, music, books, arts, business and sport. ................."Cherry picking the nicest places in the world to cycle"